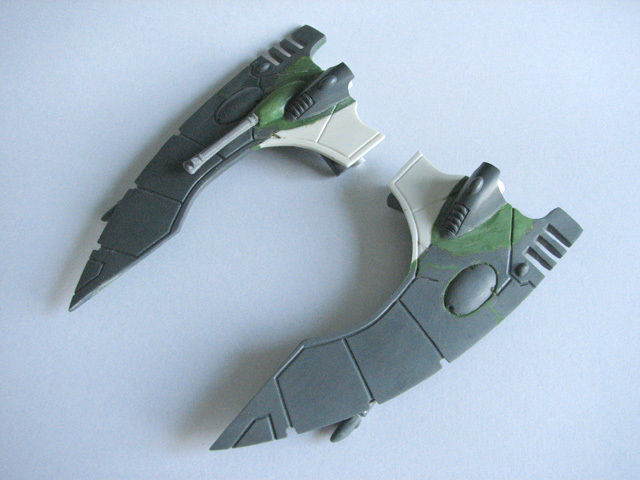 Being dissatisfied with the Forge World Nightwing, I wanted to build my own interpreation. After an abortive first try, for this second attempt I designed a radically different vehicle. 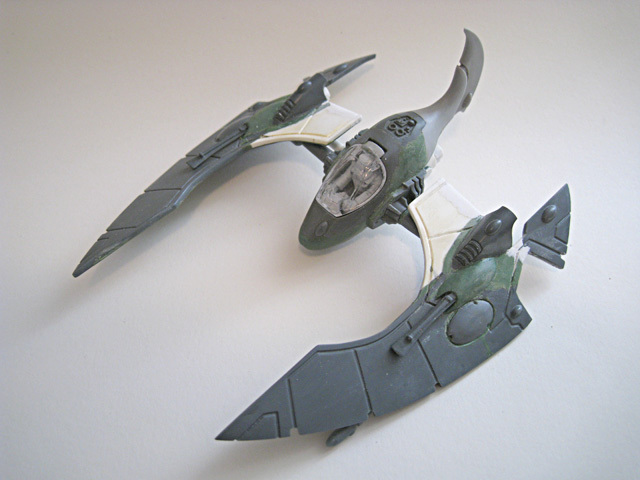 Although I was pleased with the results at the time, eventually I decided that it seemed too small alongside the other Eldar flyers and it was sold to another collector. 1. For this new design of Nightwing I wanted to create something that looks nimble, fragile, fast, deadly and significantly smaller than the bulky Forge World model. 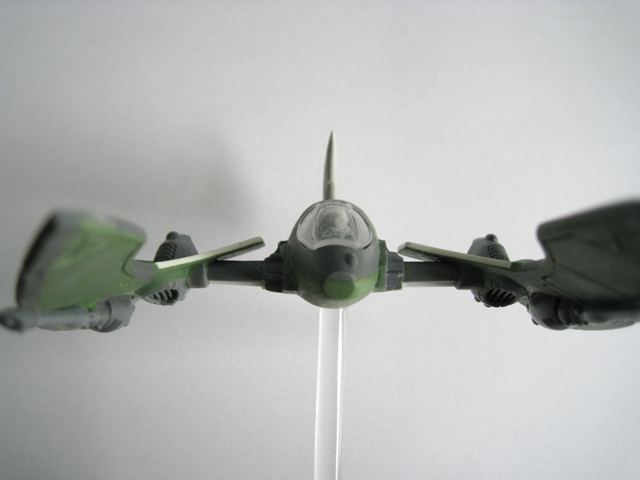 The cockpit canopy is held in place by magnets. These parts were taken from the engine of a War Walker. 2. The cockpit takes shape. 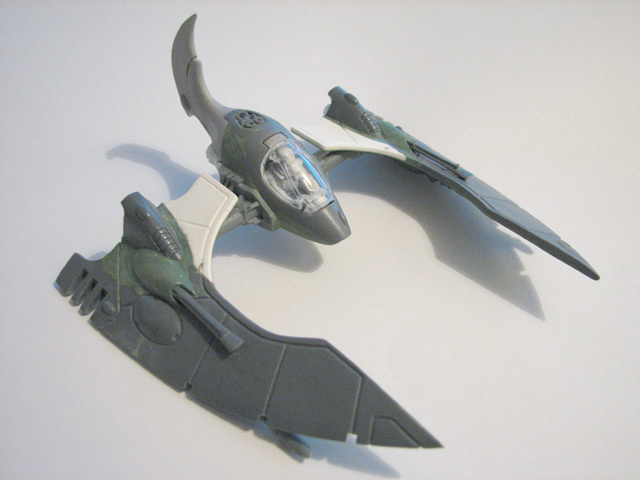 The high, curved tail and the pod-like cockpit echoes the design of the Forge World Dark Eldar Raven Fighter (which looks much faster and dangerous than their Nightwing). 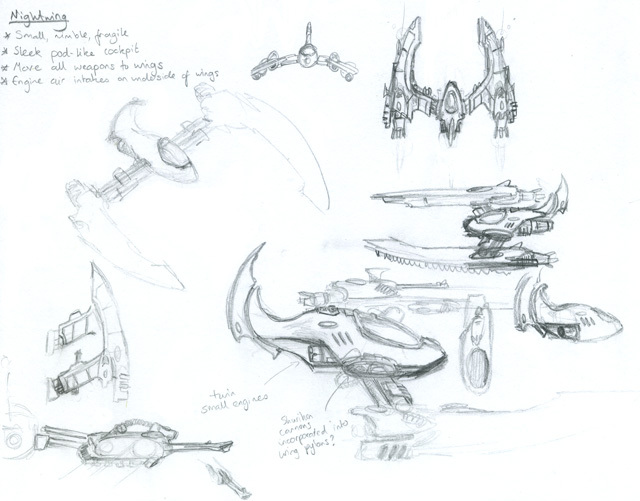 As the two Eldar factions have distant, common technological ancestry, I wanted to make my Nightwing at least look vaguely similar to the Dark Eldar flyer. These engines were made from styrene tubing. A magnet was later glued into this recess to attach the craft to a magnetic flying stand. 3. The underside of the cockpit. 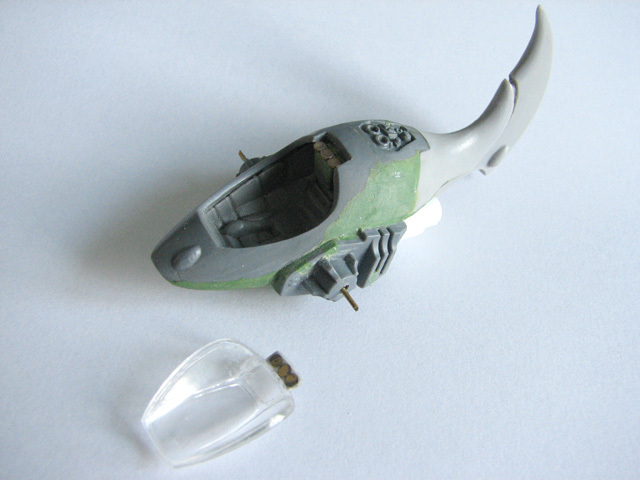 The base of each wing's Bright Lance was made from half of a Fire Prism rear access ramp. 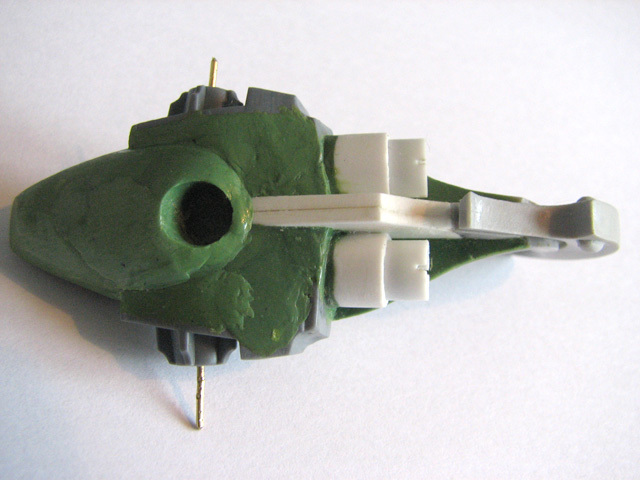 In order to keep the wings thin, I elected not to use the corrugated anti-grav fins that normally attach to the base of the Falcon's wings; instead I used Green Stuff to fill in the underside. This small air intake comes from the top of a War Walker's engine block. These supporting pylons connect the wing to the cockpit. 4. The underside of one of the wings. 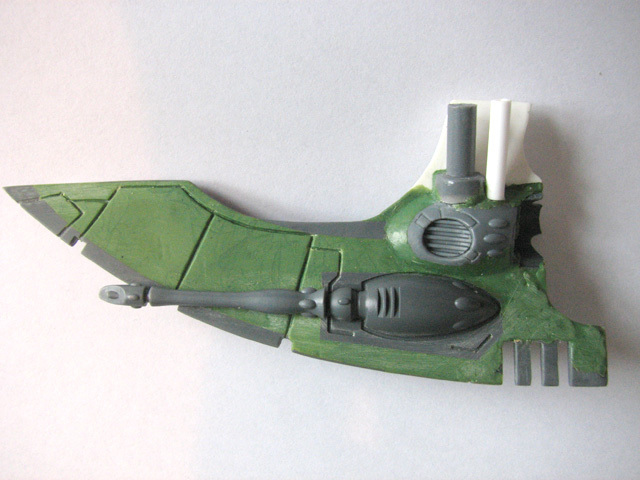 The gun cowlings from a Night Spinner became engine housings for the thrusters in the wings. 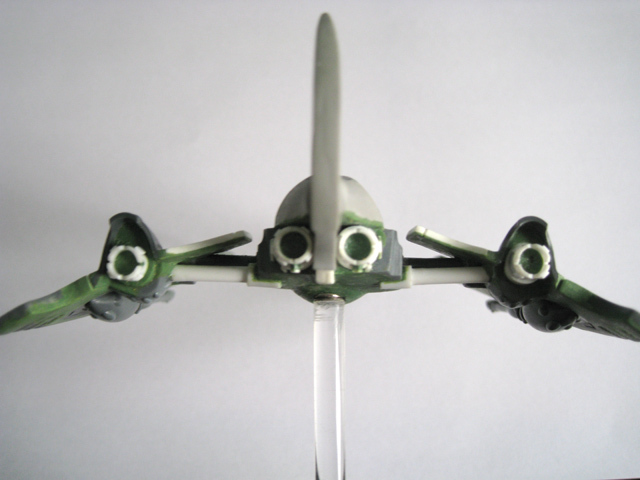 I wanted the wings to be fairly symmetrical, so I replicated this detail from the right-hand wing. 5. 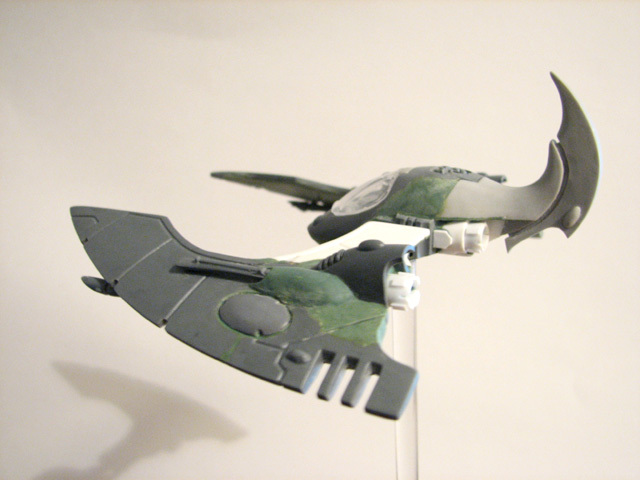 The wings, nearing completion. 6. The Nightwing was mostly completed at this point. Some changes were later made to the wings. 7. 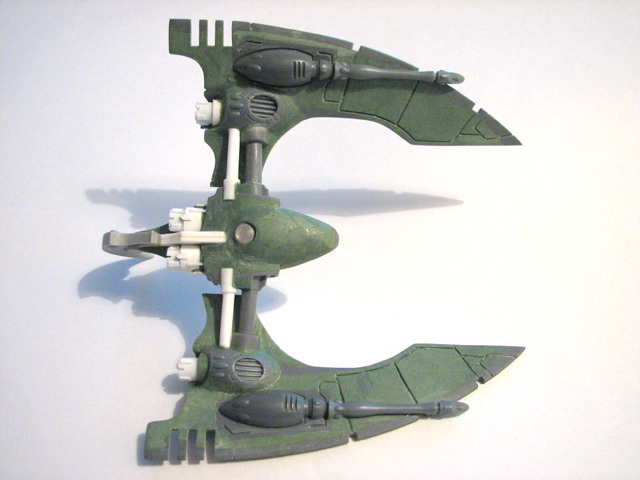 The Nightwing on its magnetic flying stand. 8. Another view of the Nightwing. 9. The underside of the Nightwing. 10. A close-up of the Nightwing's engines. 11. A dorsal view of the Nightwing. 12. 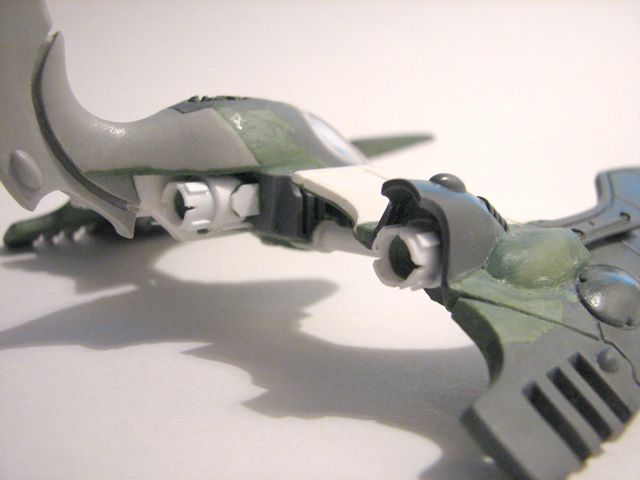 A ventral view of the Nightwing. 13. 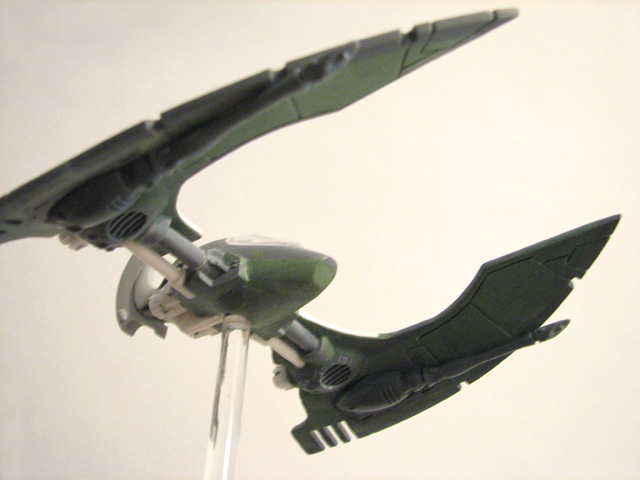 A frontal view of the Nightwing, showing the wing configuration. 14. 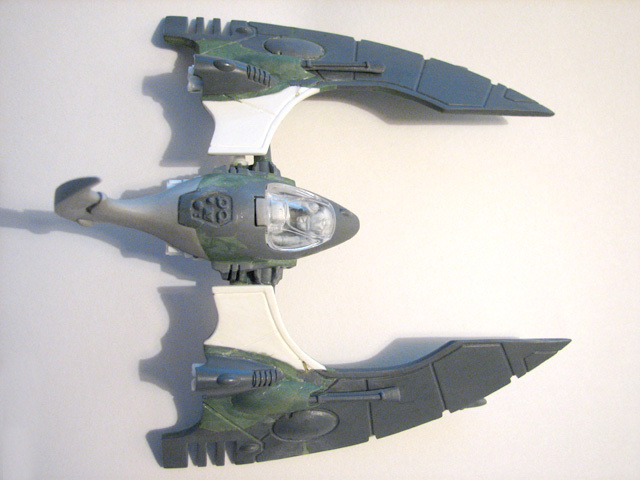 A rear aspect of the Nightwing and its four engines. 15. 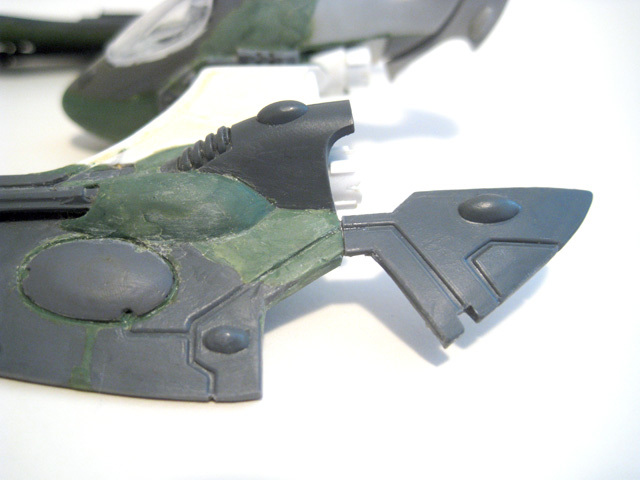 I decided to change the shape of the wings slightly, adding these cut-down Falcon wing tips. 16. 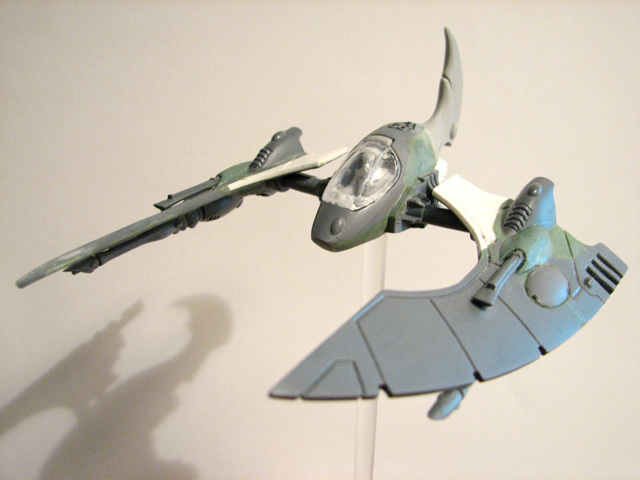 The Nightwing, completed and ready for undercoating.